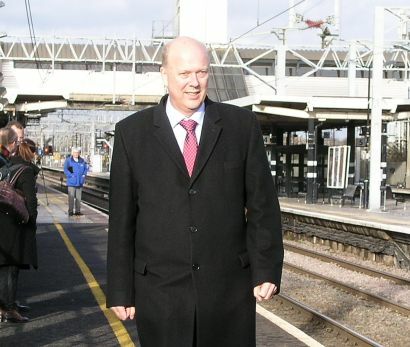 TRANSPORT secretary Chris Grayling is set to announce a major review of railway organisation, including the structure of franchises, later this week. But although the review, which is said to have the support of the Prime Minister, is supposed to be the most fundamental reappraisal of how the railway is organised since privatisation more than 20 years ago, some sources are voicing doubts about how fundamental it can be without opening the door to a form of renationalisation. The Department for Transport has been under great pressure over its management of railways during the past few years. Its position has been jeopardised by several problems, including serious disruption on a number of key routes caused by industrial action over changes to the traditional role of the guard. Southern was the first to feel the impact of the disputes in 2016, but strikes are continuing this month on Northern and South Western Railway, although new peace talks are set to begin on Wednesday between Northern and the RMT. Mr Grayling’s position has been weakened still further by the collapse of the Virgin Trains East Coast franchise, which ended in June, costing the majority shareholder Stagecoach Group some £200 million. A report published by the Commons Transport Committee last week placed some of the blame for this on the Department for Transport. The DfT has also been under fire after the radically new timetables introduced on 20 May on Govia Thameslink Railway and Northern proved to be unworkable. The effect was so severe that most of December’s timetable changes are being put on hold. These range from the promised 24tph Thameslink service through central London to the introduction of a half-hourly service on the Cornish main line between Plymouth and Penzance, for which signalling upgrades have been completed. The franchising timetable remains in disarray, with award and starting dates continuing to slip. The start of the West Coast Partnership, originally intended to begin as the successor to the present Virgin Trains/Stagecoach contract in April this year, has been postponed by up to 12 months, while although the winner of the next South Eastern franchise should have been announced in August the decision has been delayed until November. The present Southeastern franchise, meanwhile, has been extended again to April 2019. The story has taken a further twist in the past 24 hours, with unconfirmed reports that the three shortlisted contenders, Abellio, Stagecoach and incumbent Govia, have been asked to submit their bids for Southeastern again. Other misfortunes include fresh problems with Intercity Expresses, which were procured from Hitachi by the Department for Transport for the East Coast and Great Western main lines. It emerged a few days ago that the trains emit disruptive frequencies in electric mode, which are affecting signals and other safety-critical equipment on the East Coast route, where they have yet to enter passenger service. Both Hitachi and Network Rail are said to be working on a solution, although Hitachi has claimed the cause is old lineside equipment, while Network Rail said the problems would be cured by making changes to the trains themselves. More recently still, a GWR Class 802 running in diesel mode failed just north of Exeter on Thursday, stranding 400 passengers for five hours and disrupting other services.